Strawberry Spinach Salad with Goat’s Cheese is a delicious way to enjoy strawberries when they are in season. When strawberries are in season, they are plentiful and at their tastiest. I learnt this recipe when I worked in a restaurant in Kamloops, BC, about 20 years ago. I wasn’t sure of the combination flavours of sweet strawberries in a salad, but once I tried it, I was hooked! The secret to this recipe is the delicious Sesame Poppyseed Dressing or Vinaigrette. The sweet and savory flavours together mix perfectly with the poppyseeds and sesame seeds. The sesame seeds add a nuttiness to the Strawberry Spinach Salad with creamy Goat’s Cheese, which is still subtle. Trust me, the recipe just works! It was a best seller at the restaurant! You can whip this recipe up in under 10 minutes, and have your family eating a healthy and nutritious meal. If you don’t have Goat’s Cheese, you can substitute feta cheese, but use Danish Feta instead of Greek Feta, as it is softer and creamier. The kids love the Poppyseed Dressing, they even said they want to drink it. Win! 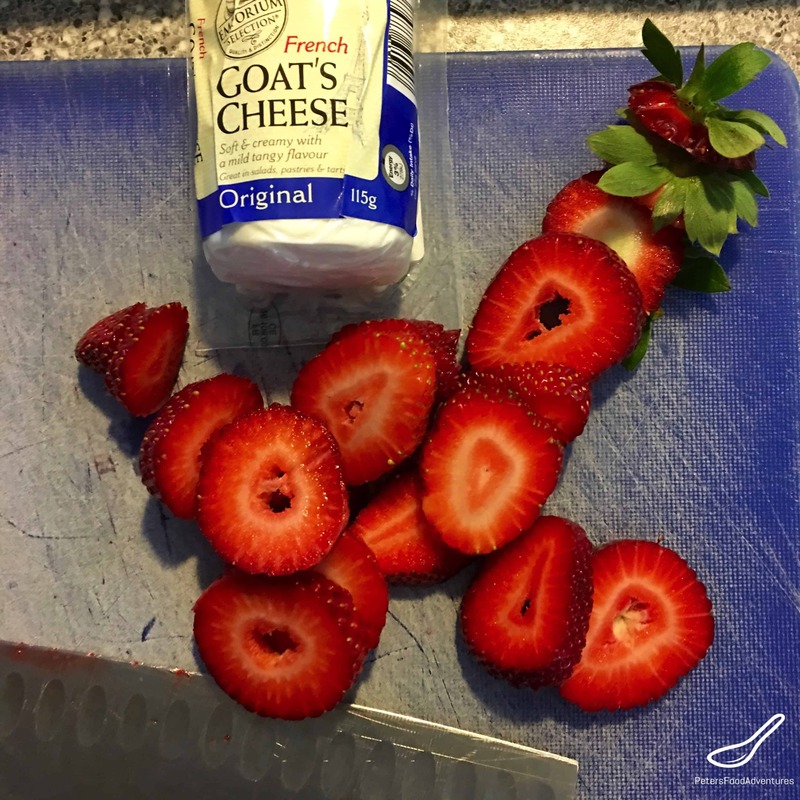 Serve this for lunch or as a side salad with dinner, Strawberry Spinach Salad with Goat Cheese is sure to be a hit. Bon Appetit! Приятного аппетита! 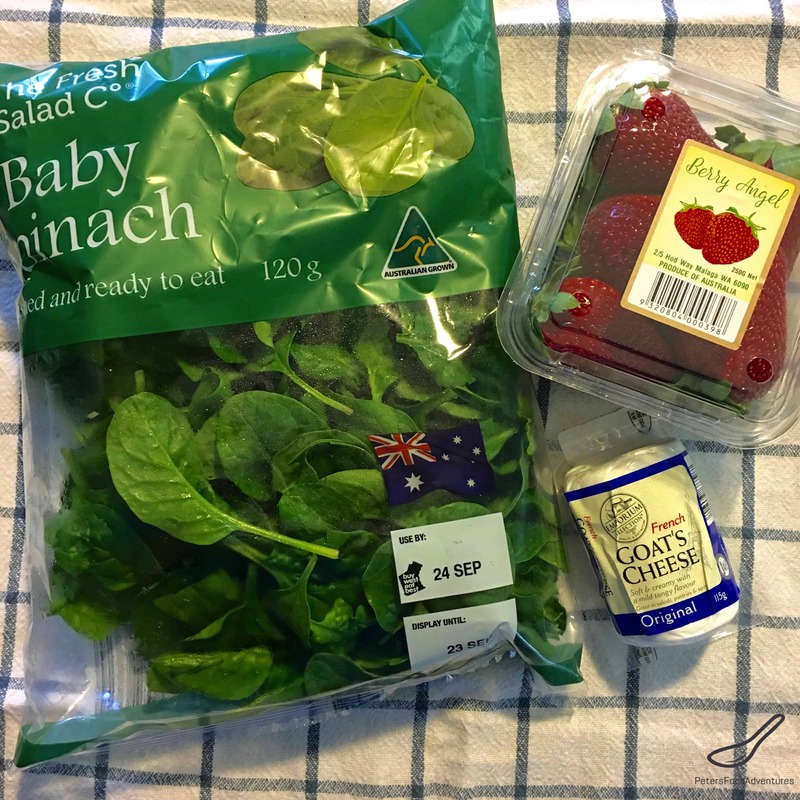 Strawberry Spinach Salad is healthy and nutritious. A quick and easy to make salad, with goat's cheese and a sesame poppyseed dressing and vinaigrette. A favorite spring and summer salad. Prepare the Poppyseed Dressing according to instructions and set aside. In a bowl, mix together the spinach leaves, sliced strawberries. Cut the soft goat cheese into small chunky pieces and add the the bowl. Drizzle the Poppyseed dressing and toss the salad together and serve immediately. Thanks! Definitely one of my favourite salads! Thanks Lynne! And delicious too! I especially love this salad dressing!